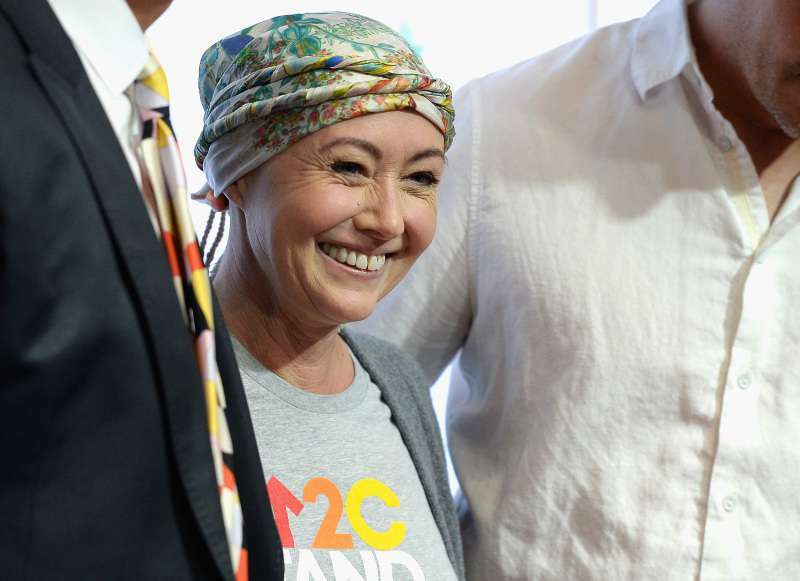 Actress Shannen Doherty is going to have a surgery a year after she announced that the breast cancer she had been battling since 2015 had gone into remission. The 47-year-old didn’t mention the nature of the surgery, as she took to social media to share a photo with herself and Mars P., a phlebotomist with the American Red Cross. My doctor had me bank some blood for my upcoming surgery. Mars P was patient with me and didn’t even roll his eyes at my anxiety over the needle size. He was patient, kind and really good. As I sat there banking blood for myself, I asked him about some of the people also donating... especially the ones with TVs. So two of them come every 2 weeks and donate platelets which takes 2 hours. Another girl comes as often as allowed to donate blood. To say I’m moved by the generosity of people is an understatement. I’m vowing that as long as I’m cleared in the future, I will start donating. Thank you to those selfless humans that donate. Thank you to Mars and all at the clinic in Woodland Hills for your smiles and hard work. Earlier this month, the actress updated her Instagram followers on her health. One tumor marker test came back good. Other… elevated. Just means I get monitored and another test. But even after that call, I’m staying positive and taking stock of my life. After her announcement, the Charmed star was spotted spending time with her mom, Rosa, before the surgery. Rosa was also by her daughter’s side at the blood bank. Doherty announced that she was in remission on April 28, 2017. Since then, she stayed realistic about her cancer coming back.